This hip trick comes to us courtesy of my brother-in-law, Nick, and a recent reminder from Hank Shaw. I’m constantly fermenting garlicky dill pickles, my favorite flavor combo, and when the garlic stares me down I now use a trick that works sort of like magic. You can do the original method, finding two metal bowls of roughly the same size and then sticking the broken apart, but unpeeled garlic coves inside one of the bowls. Make a dome over that bowl with the other, hold really tight and shake wildly. Remove the peeled cloves and shake it out until all of them are relieved of their dry skin. I tried this in my metal cocktail shaker and was surprised by how well it worked, and within something I’m used to shaking with ease (the bowls can be unwieldy). Make sure you clean it out really well with hot soapy water before you make your next round of margaritas, though! 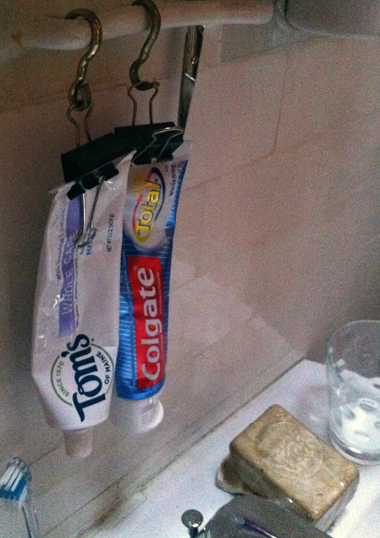 I share this hip trick with my Green Your Cleaning Supplies workshop attendees. Do you like the idea of cleaning with something non-toxic, but hate the smell of vinegar? Peppermint essential oil to the rescue! 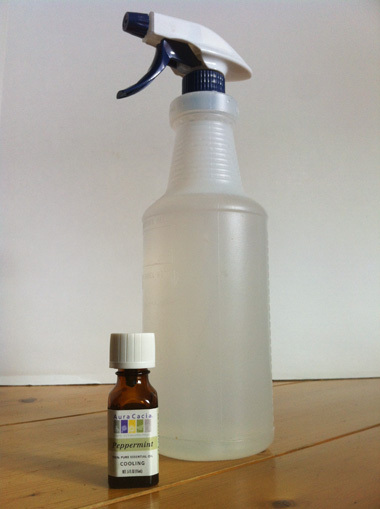 Add about 10 drops of a pure essential oil (no synthetic fragrances or you’re defeating the purpose of non-toxic cleaning) to your half vinegar-half water spray bottle. Of all the essential oils I’ve tried, peppermint is one of the few that actually masks the odor of the acetic acid in vinegar. Not a mint fan, try clove or eucalyptus which are also strong oils. Give a few sprays to your counter top, bathroom mirror, sticky floor and voila; you’re cleaning with a Thin Mint. This hip trick comes to us courtesy of my partner, who cleaned rust off her bike wheel rims and frame with this fun little science experiment. 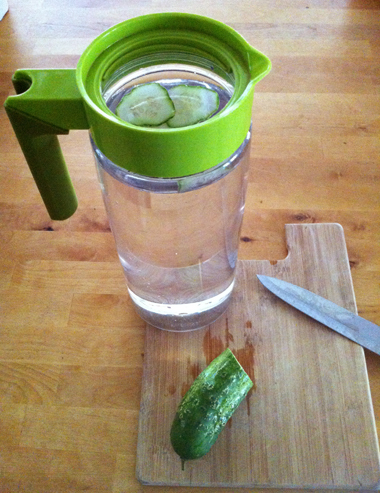 Try it sometime by pouring a couple cups of water into a bowl. Take a square of aluminum foil, dip one side into the water bowl and then rub the rust-affected area with the dampened foil. The foil will likely disintegrate after a while of rubbing, but if necessary, grab another square and keep at it until all rust is gone. 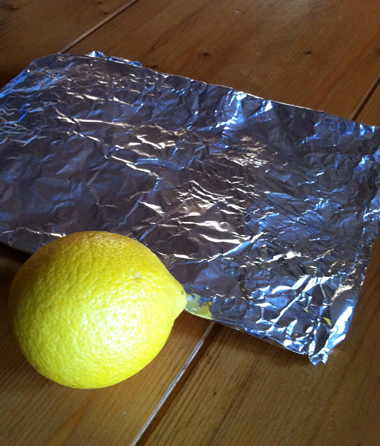 Shine chrome by sprinkling Kosher salt over a half of a lemon. Rub the rusted area with the salted lemon and then follow up by cleaning normally. Enjoy the shine! 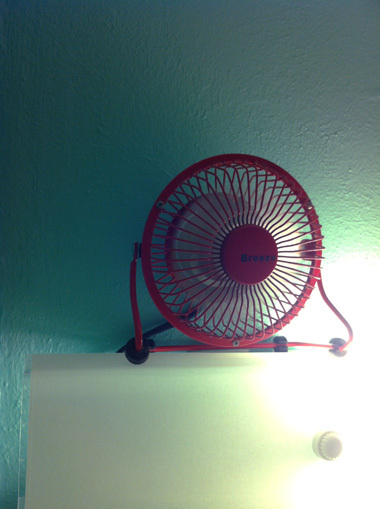 This hip trick comes to us courtesy of Trish in Austin, TX. If you happen to burn something in a pan, empty out all the burnt food, and while the pan is still hot, sprinkle the burned area with salt. 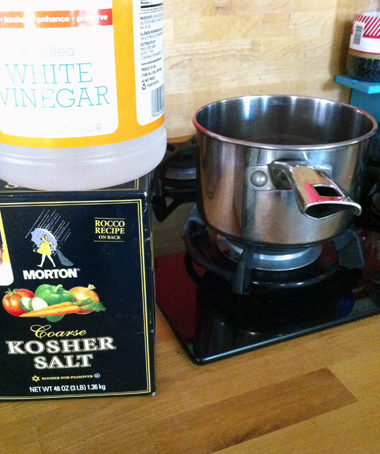 You will need to make sure the salt covers the whole burned area then pour distilled white vinegar on the salt. It causes a chemical reaction that lifts the burned stuff right off, slick as a whistle. When life grants you more doors than shelves, perhaps you’ll be able to employ this hip trick. Take a door-hanging shoe rack and stick your useful items, tools and garage-y things in the slots. 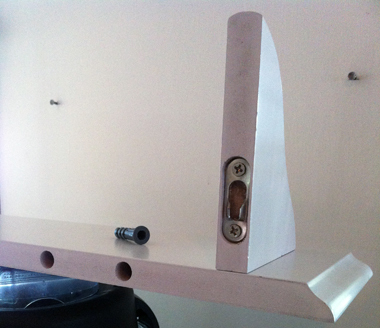 This hip trick is related to our old fave on page 53 in the book, cinderblock and boards bookshelving. 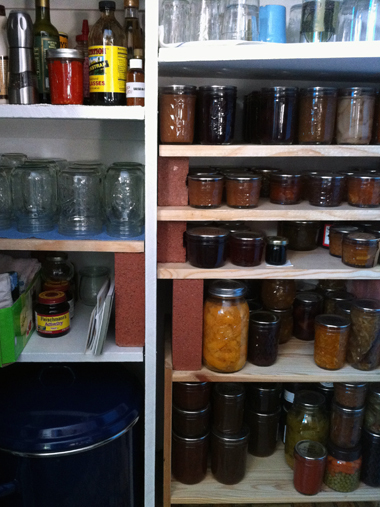 Use this inexpensive trick to add depth to your shelving and make the most of your space. Over the weekend I bought at the hardware store a ‘1x12x8 #2 Common Board’ (as printed on my receipt) and had them cut it down into four shelves for my pantry, which I was sure to measure carefully beforehand. I bought 18 concrete bricks and voila! After 10 minutes of assembly (aka stacking), I added four sturdy shelves converting formerly wasted space in my pantry into useful shelving for just under $20. p.s. Paint your bricks and/or shelves if you’d like to add a kick of color to the set-up. This hip trick comes to us from Kris in Portland OR. To help calf and knee boots both keep their shape and remain standing in the closet, weed out some of those old t-shirts or shorts you’ve been meaning to give away (or stash summer clothes just for the season, things you might not have much room to keep elsewhere). Roll up one or more items together to match the height of the boot, and, if necessary, secure with masking tape. Insert the rolled up material into your boots and salute yourself for successfully implementing a creative improvisation/stashing tactic. You survived the holiday gathering, but how did your stovetop fare? Not so well? Shake some baking soda directly onto the burner area and give it a scrub with an old sponge or rag. 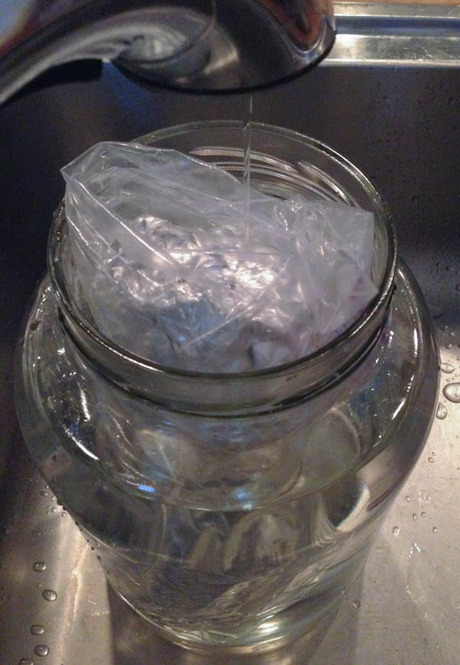 Dab rag with white vinegar to remove the soda residues and polish your work. If necessary, degunk your metal burners by removing them and soaking in hot water and a splash of Citrasolv, and then wash normally with dish soap. This hip trick is along the same lines of the dish soap diluting trick on page 7 in the book. Stop spending money on hand soaps! Buy a refillable pump (there are even cute ones to be found out there, too) and fill it halfway or even a quarter of the way full with the Castile soap of your choice. Top it off with water, give it a shake and feel good about not putting extra chemicals down the drain, for cutting out unnecessary packaging and keeping toxic perfumes out of your home.